We are your local carpet experts here at Oberdorf Carpet One Floor & Home. We offer a great selection of quality carpet flooring and we also provide design services to make sure that you make the perfect choice for your residential or commercial setting. 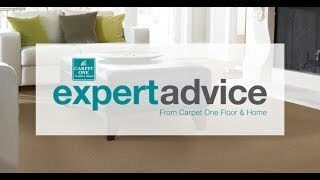 Our flooring professionals are here to help you find the right carpet and also provide professional advice. Carpet is made to be stain, wear, and fade resistant so you can live your daily life on your floors. Carpet features unmatched characteristics that no other flooring can replicate. When choosing a new carpet, consider wear resistance and durability. If you have family in your home that tend to be a bit accident prone, then a carpet with stain resistance, or even a waterproof carpet, may be right for your home. You also want a carpet that is stylish and will perform well, as your new carpet should fit perfectly into your overall design. A carpet that looks good and lasts a long time is ideal for any home. We can help you choose the right carpet that balances style and performance. There are five main types: level loop, patterned, textured, frieze, and plush. It does not matter if you live an active lifestyle, or have a home that doesn’t see much activity, because there is a carpet for every type of home. We can help you find a carpet that suits your home and lifestyle. Carpets are more durable than you think and can handle places around your home with heavy traffic like hallways, stairs, and even living rooms. With carpet you can transform your favorite retreats into cozy hide outs. Carpet can be installed anywhere from your bedroom to your child’s playroom. The type of lifestyle you live can have an impact on your flooring. For example, households with families who are active and always moving should consider carpets that are resistant to wear and fading. Other factors you should consider are the children or pets living with you, and also how frequently you entertain guests in your home. You flooring should still reflect your personal style and personality though, but the carpets we carry come in the latest trends so there is no need to worry. Types of fibers and pile styles play a role in not just how your floor looks but also how it functions. Denser carpets are perfect for rooms and spaces that see frequent traffic, whereas more plush carpets should be installed in places with lower traffic. Learn more about the different types of carpet by visiting our Carpet Features page. Carpet remains popular in residential and commercial settings, but there are a few different options from which you can choose. Carpet comes in different fiber options that affect the way it functions in your home. There are synthetic carpet fibers, like nylon, which can be made to be ultra-soft. Then there are natural fibers, such as wool, which come in vibrant colors and feature several different benefits. What about commercial carpet? Commercial settings typically have heavy foot traffic, so commercial carpet tends to be stronger and harder than residential carpets. So, if you are looking to add carpet to your office, be sure to work with us to choose a suitable commercial carpet option. Carpet tiles are also popular in commercial settings because they are durable and relatively easy to install and maintain. As your carpet experts, we offer a great selection of quality residential and commercial carpet options. We, for example, offer Carpet One exclusive brands such as Lees®, Tigress®, Resista®, Innovia™, and Bigelow® STAINMASTER™. Just like any other flooring option, carpet also follows trends. Learn more about popular carpet trends and which would work best in your home. Carpet fading is a common issue for many homes. When carpet is exposed to direct sunlight all day long, the carpet colors will tend to fade. Check out some tips on how to prevent fading. Before any flooring purchase, always make sure you establish a budget. Different carpets come at different price points and can affect your overall budget. The features of any carpet can affect the way it will perform in your home. Learn more about the different carpet features and choose which would work best for your home and lifestyle.